Amanda Oliver reacts to Jess Moody’s Keynote: Excellence and Equity: new directions for social mobility and student diversity at the AUA Conference 2019. Jess is a Senior Adviser at Advance HE, working on the promotion of equality and diversity for staff and students in universities across the UK. 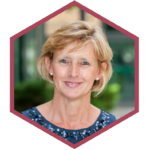 She has led projects supporting HEIs on positive action in recruiting underrepresented groups, and worked on the equality implications of the new regulatory landscape and the Teaching Excellence Framework. She also works on LGBT+ inclusion, and supporting diverse faiths in university. 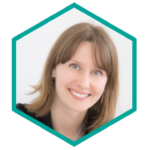 She has worked with Jisc on equality data issues, and the advisory forum of Action on Access, and occasionally blogs for Wonkhe. Jess opened her Keynote with a some clear agenda items for how the topic of ‘Excellence and Equality’ is playing out across the sector at the moment and how it will be and should be playing out in our respective organisations. Jess stated that for HEIs there will be challenges, there will be a changing narrative, and also evolving and innovative approaches to how we address this. It was useful to have some clarity on the difference between equality and equity, often these terms are used interchangeably and sometimes inappropriately. The sector is very much preoccupied with fair access, student retention, attainment, and outcomes- more data is being collected to understand the context and issues, but the question of ‘so what?’ remains. So much data, useful insight, but how is all of this having a positive impact on the sector, on students? Jess explained that It’s about a bigger story, e.g. understanding the experience of our students, creating a sense of belonging and ensuring inclusion, although it is clear that more data and the analysis and evaluation of those data will enable us to make positive changes, it should also enable us to intervene; Jess gave the example of encouraging a student not to leave and therefore improving retention. We were reminded of some of the external drivers influencing how we think about this and how these drivers are to hold organisations accountable for positive action to ensure equality and equity. Some of the benefits of increased diversity and inclusion that we are already seeing in our organisations are of moral/social justice, accessing and retaining top talent, transparent values, increased community and civic engagement, financial sustainability, diversity of thought; of course some of these are not measurable, so how do we know that we are really making a difference? Jess suggested that organisations need to ‘conceptualise excellence’, this could take the form of attainment of learning ‘gain’, improved student employability, a rise in the rankings, value added and student satisfaction, with all of this the institution develops and therefore becomes an attractive place to work and study. For the audience, it was an opportunity to reflect on what is happening in our respective institutions, and if we are unclear if there is a clear approach to this, who should we talk to in our institutions to find out more. We were encouraged to think about some of the step changes that our organisations might be making to address the issues of inequality or inequity, some of these might be incremental rather than a Big Bang approach, and some might take some time to embed and make a difference. Are we giving due consideration to how the impact of change is playing out, for example what if all courses where available part-time, what impact would this have? What about on-line delivery, what does this mean in terms of equality and equity and how this translates into excellence. It was clear listening to Jess’s Keynote that there is much to learn about who we serve as HEIs and how we can make a difference and enhance the experience of all of our ‘stakeholders’. Jess’s presentation was informative and very thought provoking, perhaps posing some unanswered questions for the audience. Should we know more about how this important agenda is impacting on our organisations, structures, colleagues, and our students?